Stand Tripod, Max Height 42"
Enjoy true bench-rest accuracy in your tree stand with the BOGgear TreePod Tree Stand Shooting Rest. When installed on the floor of your stand, it fully supports the front and rear of your rifle, shotgun, or crossbow for absolute stability to improve your long-distance accuracy. With your rifle resting and ready conveniently in front of you, it leaves both of your hands free to use binoculars or rangefinders or simply keep them in your pockets for warmth while keeping your weapon close, so you can quickly react when targets present themselves out of the blue. The base plate has an array of holes to give you the ability to simply screw it into place on the floor of your blind, or you can use the matching back plate and bolts to clamp it through steel-mesh-type stand floors. 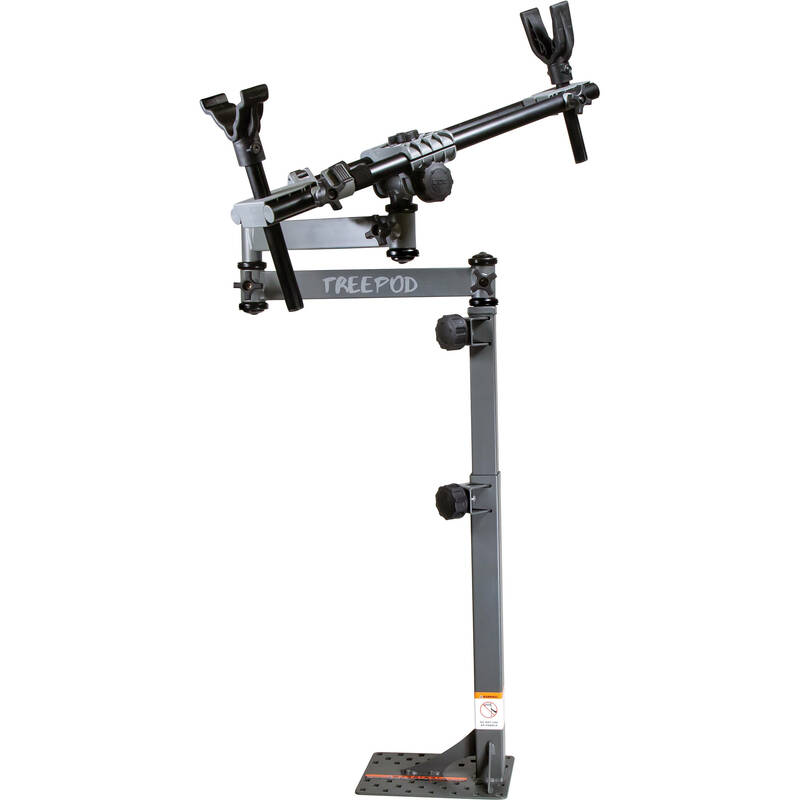 Its multi-jointed swing arm assembly height is adjustable from 20-42" to accommodate a wide variety of shooters and shooting positions and is capable of smooth and precise 180° side-to-side movement so you can scan the terrain or track moving targets. The tension-adjustable rest smoothly tilts up and down, so you can make corrections to your position for improved accuracy. The dual-tube-style rest is fully adjustable for rifles, shotguns, or crossbows of various lengths to get you in the most comfortable shooting position, and the non-marking or marring molded rubber support forks can be moved up and down for further shooting stance comfort.